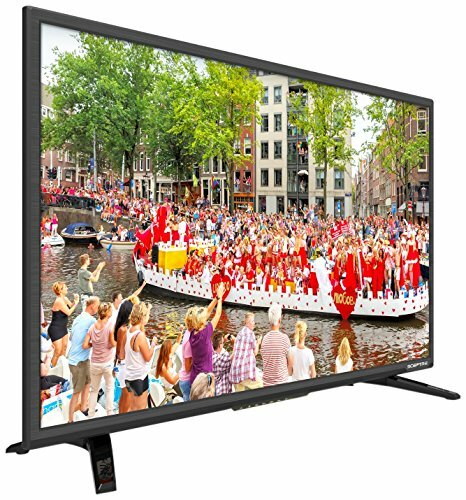 Dazzling color and clarity will surround you with the X328BV-FSR 32" 1080P LED HDTV. With 3 HDMI ports (HDMI 1 is shared with MHL), picture quality and streaming access is available at its fullest potential. Clear QAM conveniently delivers cable channels to your HDTV without the need for an antenna. With a MEMC 120 (Motion estimation and Motion compensation), all action-packed sequences will flow smoothly from frame to frame for the ultimate experience. Enjoy every moment of the auto enhanced picture quality especially for all your favorite sports, video games, and movies packed with action. 32" LED HDTV 1920x1080 3x HDMI with stand (inches) 28.78" x 18.34" x 7.94" without stand (inch) 28.78" x 16.96" x 3.56" Packaging Dimension (inches) 32.16" x 20.94" x 5.51"